Injuries from a fall account for approximately 36 percent of all visits to a hospital’s emergency room by nursing home residents. To lower this number, nursing home staff members must use the protocols provided that prevent situations in which residents can fall. The goal for a nursing home is to always promote safety, which includes identifying those residents who are at a high risk of falling. It is important to understand falls within a nursing home, how to identify residents who are at risk of falling, and how to prevent falls. According to the United States Center for Disease Control and Prevention (CDC), the majority of all nursing home falls go unreported to the local authorities. A fall can often cause disability to a resident and reduce their quality of life. Injured residents also begin to fear having reduced independence and may feel hopelessness, depression, or social isolation. The CDC estimates that roughly five percent of all fall victims will eventually die from their injuries. The CDC defines an average-sized nursing home facility as having at least 100 beds. They estimate that 1.5 million adults over the age of 65-years old are living inside assisted living facilities. At this rate, the CDC believes at least three million individuals will be living in nursing homes by 2030, which will only increase the number of falls. 35 percent of all nursing home residents that have fallen originally needed some form of assistance or were diagnosed with mobility issues. From that number, 10-20 percent of the victims received serious injuries from their fall. One of the factors that causes nursing home residents to fall includes advanced medical conditions that limit mobility and independence. These ailments can make residents less mobile than other people in the nursing home. Other severe mobility issues include minimal cognitive reaction, chronic physical pain, and the inability to perform daily activities without some form of assistance. Often, a high number of nursing home falls have been caused by muscle weakness and the inability of a resident to walk on their own. It is important that family members take the necessary precautions before allowing an elderly relative to live inside a nursing home facility. First, make sure the staff members are properly trained in preventing residents from falling and can quickly diagnose a bone fracture. Also, ask how often the nursing home’s equipment is tested to make sure everything is working properly. Updated equipment maintenance helps reduce the amount of falls that take place within a nursing home. Finally, make sure that any beds, chairs, or walkers are accessible to your loved one inside their room. The bathroom must have an elevated toilet seat and handles all along the wall. If possible, look for a nursing home that has non-slippery flooring that covers the entire facility. All of these precautions provide a safer living environment and can help prevent falls. 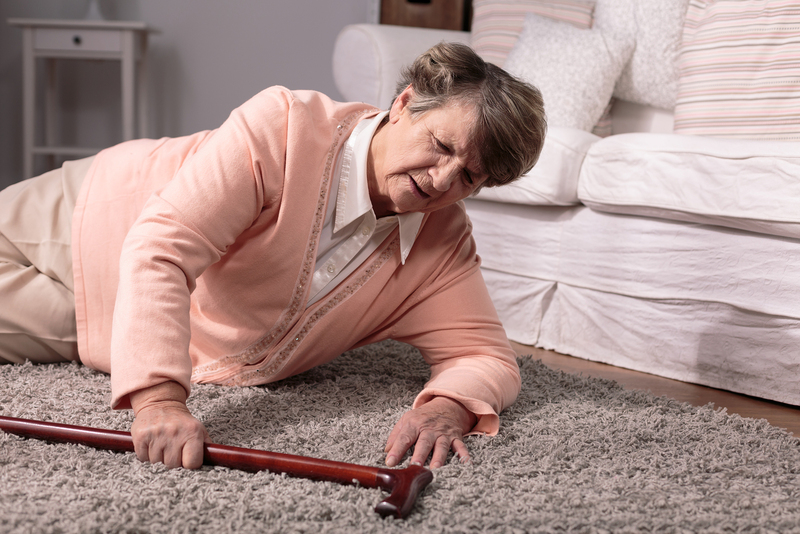 27 percent of all nursing home falls are caused by environmental hazards such as poor lighting, wet or slippery floors, incorrect bed height, and nonfunctioning wheelchairs. These hazards can make it very difficult for a resident to move around the facility. Wet or slippery floors are extremely unsafe, especially for those nursing home residents who have balance issues. New medicine or a change in dosage increase the chance of a resident to fall inside a nursing home. It is important that staff members monitor all residents while they are asleep or awake. Failure to adhere to these safety measures could cause a resident to fall. If you or a loved one have fallen inside a nursing home, contact Attorney Dean Boyd today. You can call us at (806) 242-3333 or Contact Us by email to learn more about our services. You can also visit us in person at 4423 SW 45th Ave in Amarillo, Texas or 5012 50th St #103 in Lubbock, Texas.